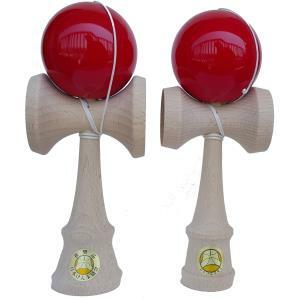 This is a standard height kendama with over-sized cups. 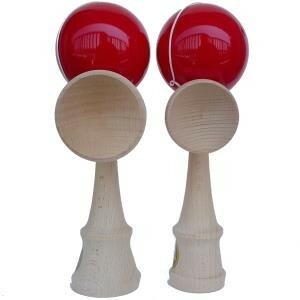 The ken is beech the tama is cherry and has the standard Ozora glossy paint. It has a JKA “Recommended” seal and is approved for JKA testing through Jun Sho-dan level. SKU: ozoTaiblu. 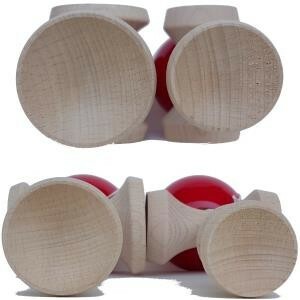 Categories: Kendama, Ozora (Yamagata Koubou). 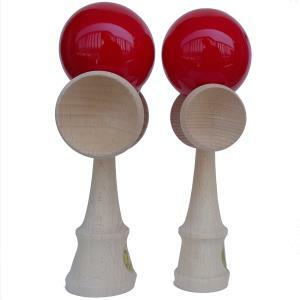 The larger cups help players who might have difficulty with fine motor control including the very young, senior players, and others who face challenges playing with the standard design kendama. The much larger cup area makes learning to catch the ball in the cups much easier and shortens the learning curve for most players. Players learn more quickly and start having fun in a shorter time span. 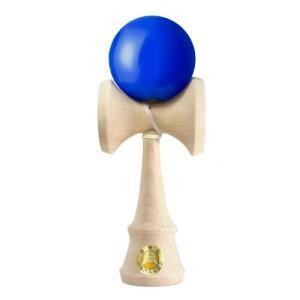 The Taisei is also great for collectors since it is a brand new design, just released at the beginning of 2017, from the makers of the Ozora in Japan.